Kickstart summer with a triathlon followed by a BBQ Party! Come check out Great Blue Yoga and try a FREE yoga class. You don't have to be flexible, wear yoga pants or have any prior experience! This class is for beginners and men only. 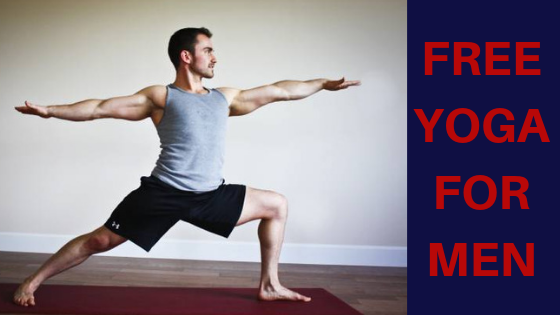 Yoga is an excellent compliment to cardio training, weight training, sports and more! Learn the power of breath paired with movement and feel the benefits of focused stretching. Just bring yourself and a water bottle! We suggest wearing comfortable athletic clothes such as a t-shirt, tank, shorts, or sweat pants. Mat are available for use at the studio. Spread your light and love with the Great Blue Yoga Community! Bring your lover or friend and both receive a special drop-in rate. This offer can only be purchased in studio. If this is your first class at Great Blue Yoga please be sure to come at least 15 minutes early to fill out paperwork and sign in. FREE CLASS, CLICK IMAGE FOR DETAILS!